The Advantage Travel Partnership (ATP) is the UK’s largest independent travel agent partnership. Providing expertise in all areas of the travel industry, the leisure and business travel agents within the group are independently owned, with a collective annual revenue of over £3bn. ATP has recently been identified by the London Stock Exchange as one of 1000 Companies to Inspire Britain. ATP approached us to assist with a mailshot targeted at their Luxury Connoisseurs – the individuals within select agencies who specialise in selling luxury travel. Aimed at recognising the contribution Luxury Connoisseurs make in promoting specialist brands such as Oceania Cruises and Emirates Holidays, what better way to reward valued performance than with a gift of branded luxury chocolates? ATP selected a six-chocolate gift from our pristine white Executive box range, tied with sheer gold ribbon. 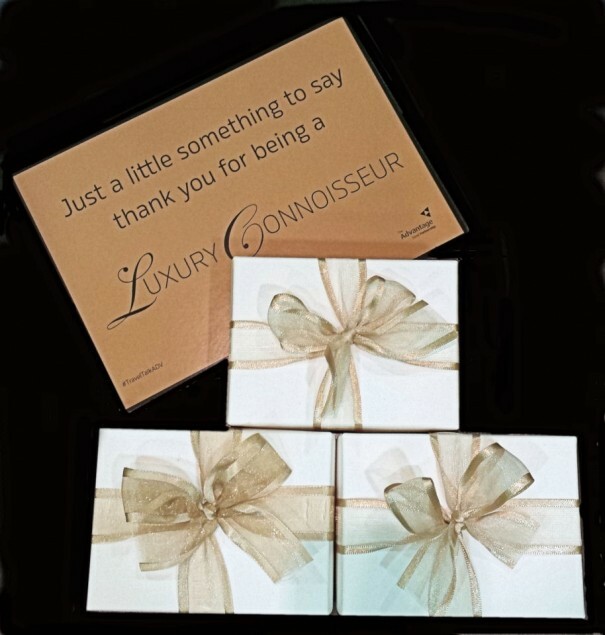 Using ATP’s supplied recipient list, we mailed a box of our handmade chocolates to each Luxury Connoisseur, together with a full colour printed thank-you card. Find out more about Advantage Travel Partnership here. Need help with your next marketing campaign? 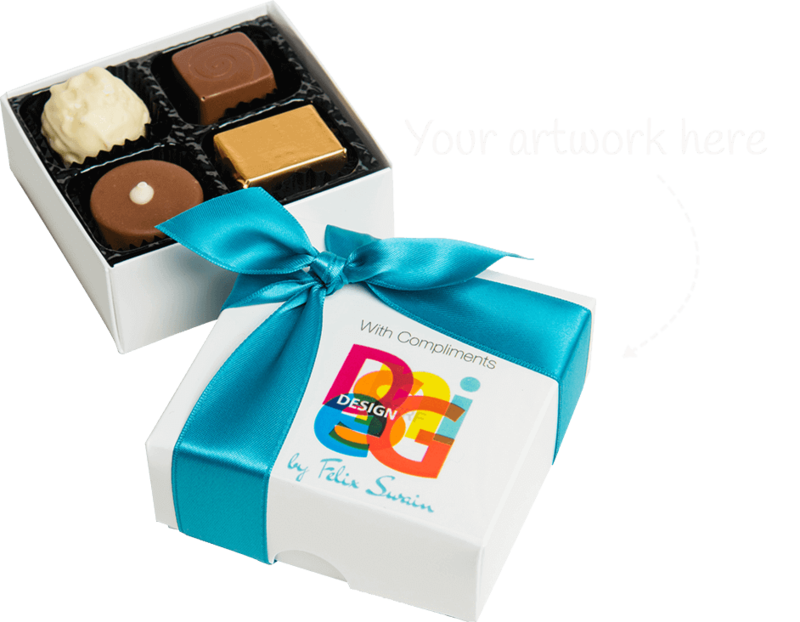 Call our Sales Team on 0121 314 3472 to find out how our luxury personalised chocolates can drive customer or team loyalty. Or request a quote and sample.